SNAFU! : You don't see that on an LAV-C2 everyday! You don't see that on an LAV-C2 everyday! I did a double take when I saw this pic. Back story. I was reading up on the USMC deployment to Israel for exercises with the IDF and this was part of YNets coverage. 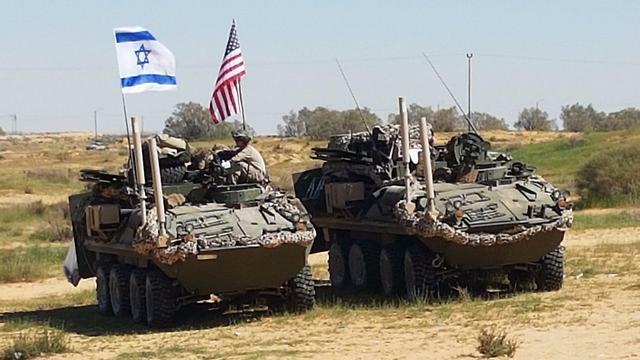 An Israeli flag on an LAV-C2? I'm a supporter of Israel but this gave me pause. I wonder whose idea this was? I don't recall us doing the same with other allies....but I could be wrong. Lastly is this part of a messaging campaign or am I making a big deal out of nothing?